In March 2000, a letter came from Cora Baker, a Potawatomi elder and Keeper of the Seeds, who was living near the Wisconsin Dells. She had gardened for many years, hanging her corn to dry on the side of the barn. People passing by on the road saw her garden and began giving her their seeds to save. With help from her great-granddaughter, Cora sent many different varieties of corn, beans, and squash, plus several sunflower varieties, indigenous tobacco, and different plant medicines to Dream of Wild Health. Once the word spread about Dream of Wild Health, seeds began arriving in the mail. Some came knotted up in a handkerchief, with a note saying, “My grandmother wanted you to have these.” Another family donated Cherokee corn seeds that were carried on the original Trail of Tears. As of today, Dream of Wild Health has more than 100 different varieties of saved seeds in our collection, a priceless legacy from our ancestors. The seed stewardship of this collection has been identified as a top priority of Dream of Wild Health and is an ongoing effort.  Donate to support Dream of Wild Health's efforts to grow out and maintain Cora Baker's seed collection and other indigenous seeds that are in our care.